Can I Use Baking Soda and Lemon for Teeth Whitening? HomeBlogCan Baking Soda and Lemon be Used for Teeth Whitening? Most people desire whiter teeth. While some home remedies can be useful, combining baking soda with lemon juice is definitely not one of them. 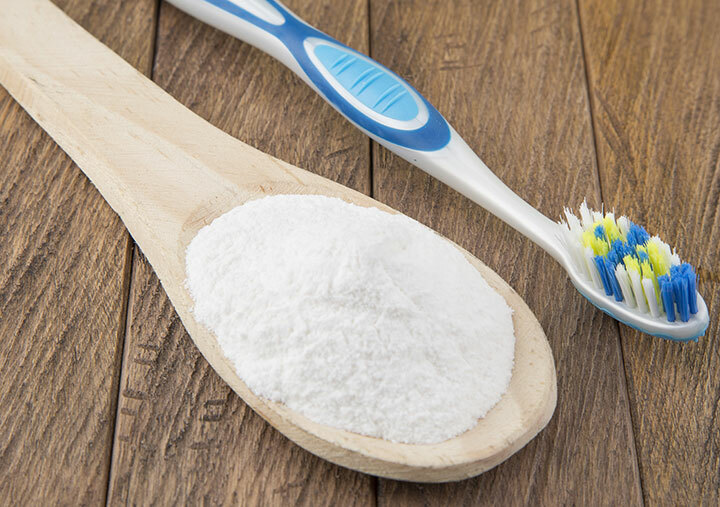 Baking soda is an abrasive powder that removes the stains on teeth by scrubbing away the smooth, shiny enamel and making it rough. Lemon is acidic and therefore also erodes the surface of your teeth. Although your teeth may look whiter after using this method, it is not good for you. It will cause your teeth to become prone to stains due to the roughness of the enamel. Regular use of this will cause sensitivity and more serious problems. The safest way to whiten your teeth is to visit a dentist who can recommend either in-office whitening or a home whitening program which use safe products, certified by reputed organizations such as the American Dental Association. To book an appointment for teeth whitening please call one of our branches today. Previous post: Should you be concerned if your child breathes through their mouth while sleeping? Next post: Should your Child see an Orthodontist before he gets his Permanent Teeth?